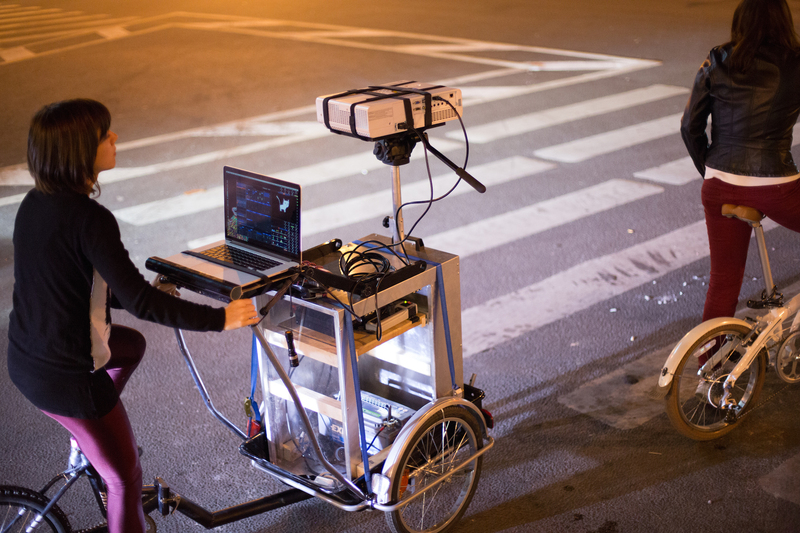 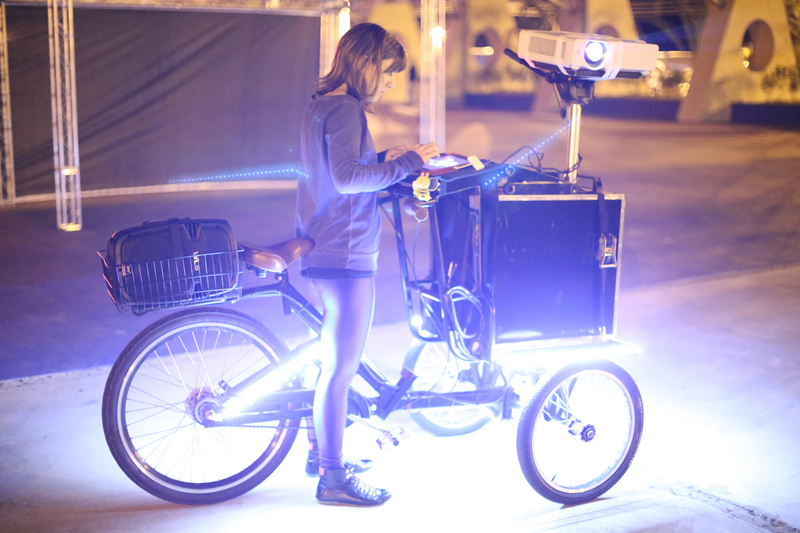 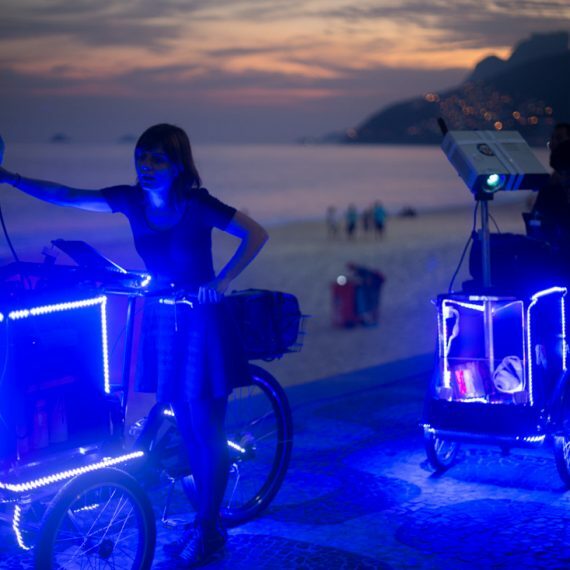 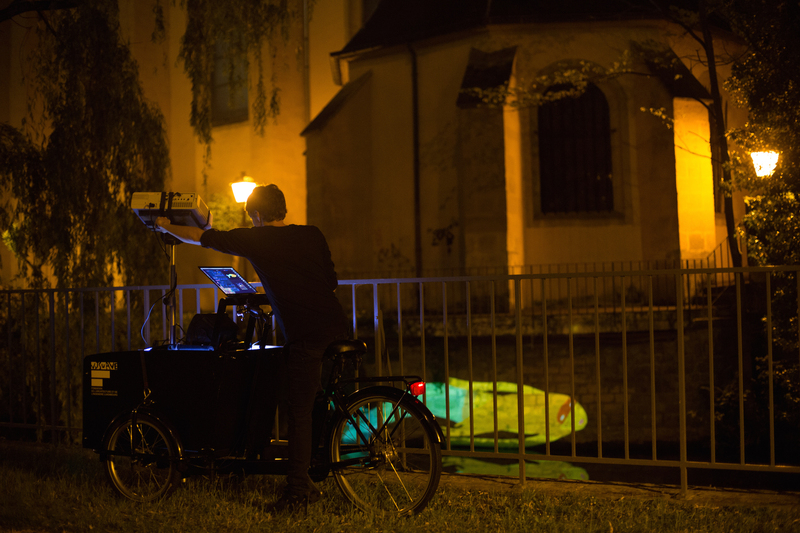 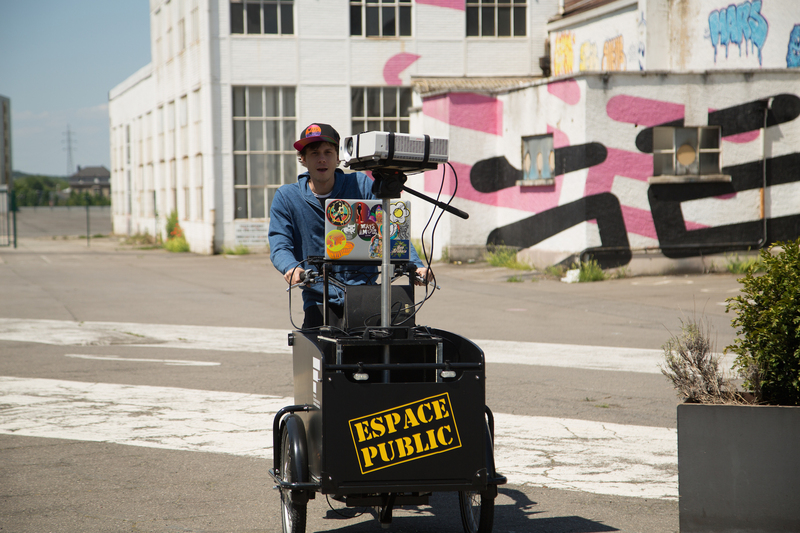 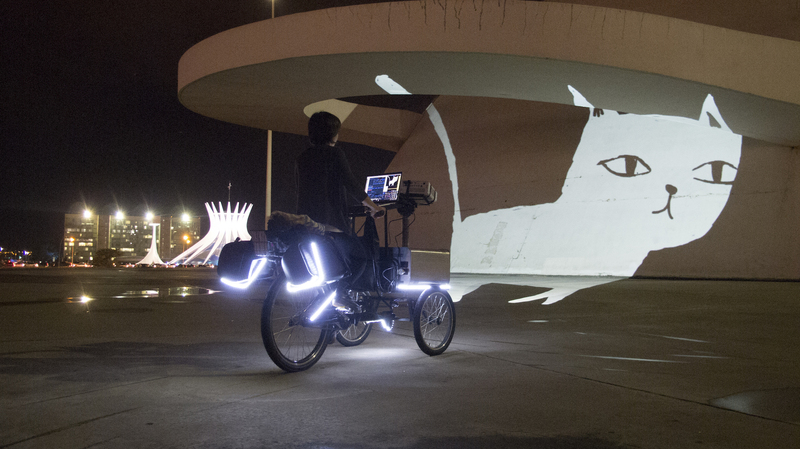 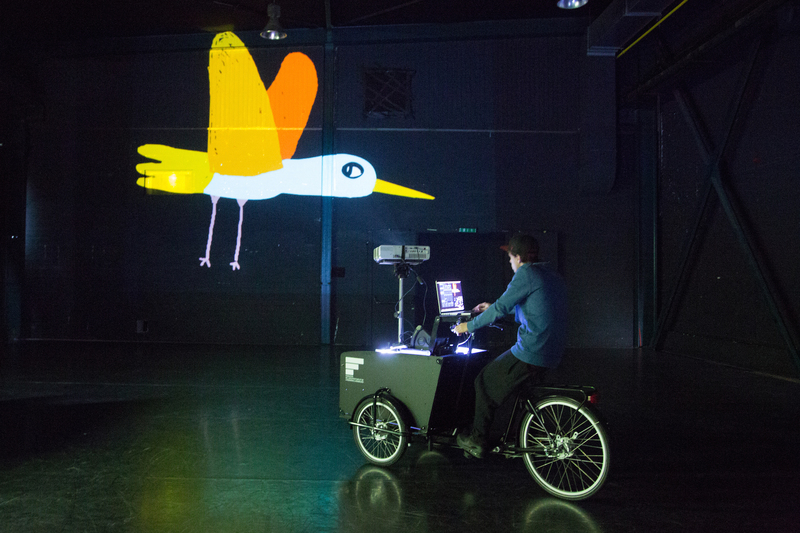 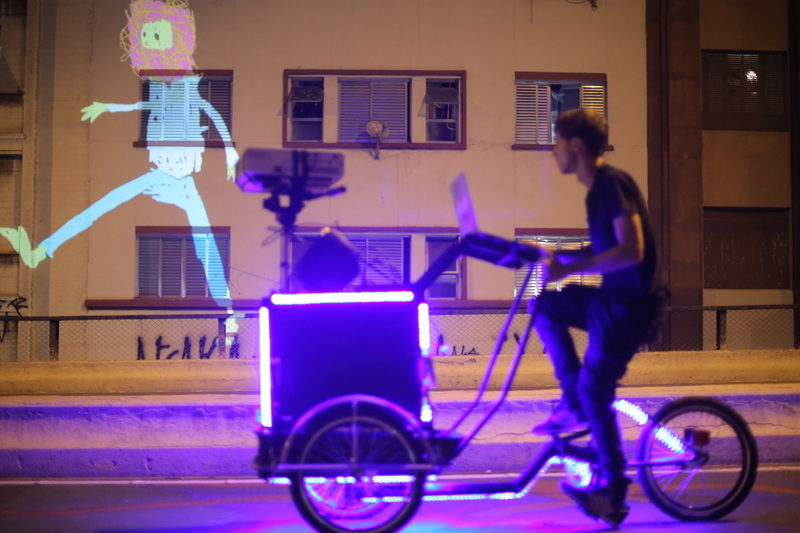 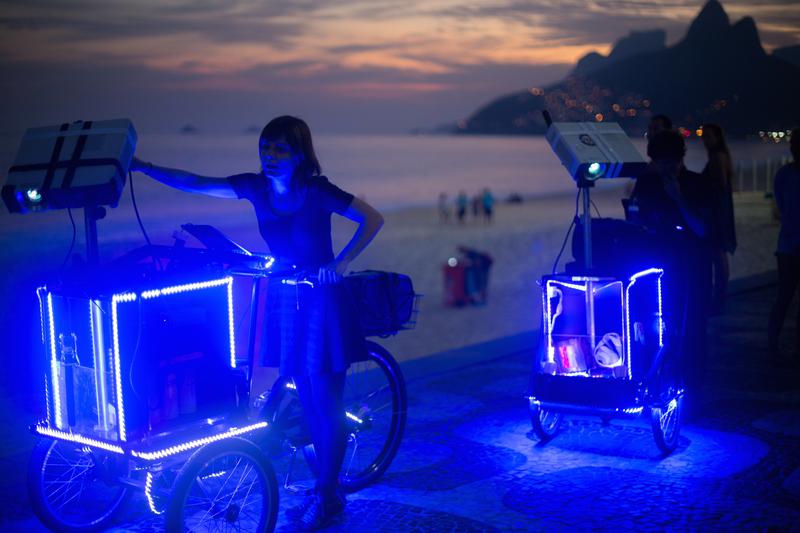 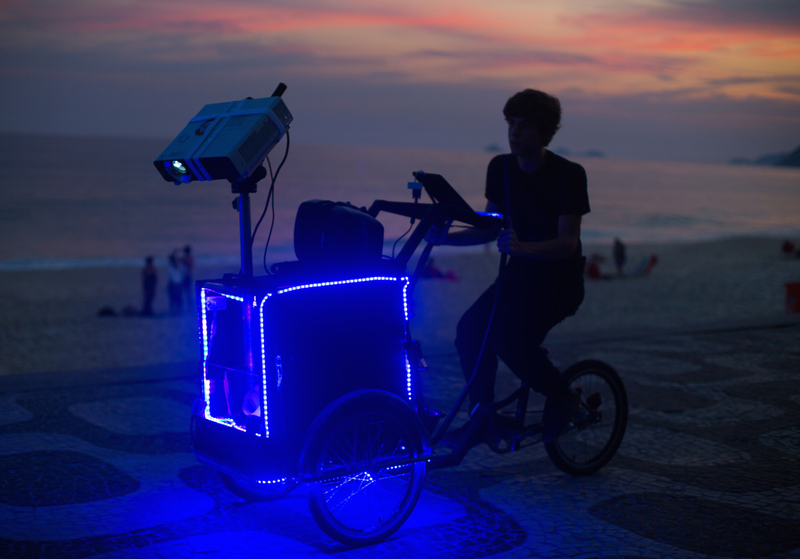 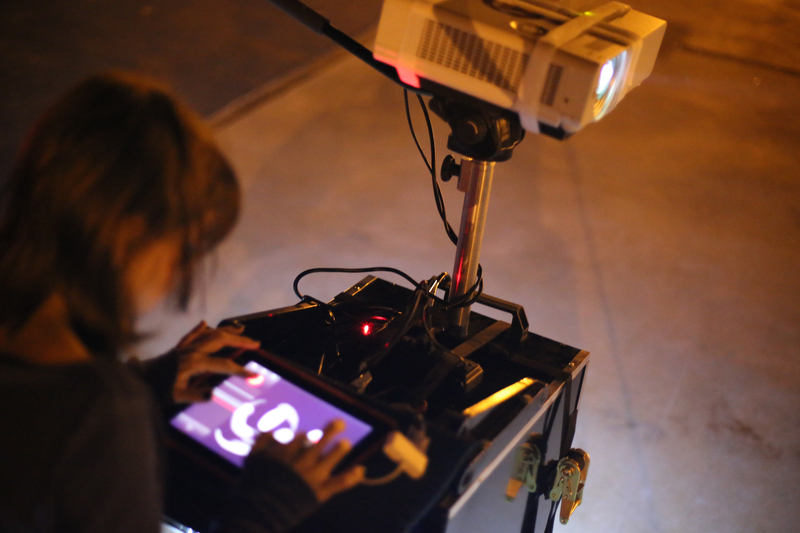 VJ Suave has two audiovisual tricycles adapted with a projector, computer, speakers and batteries. 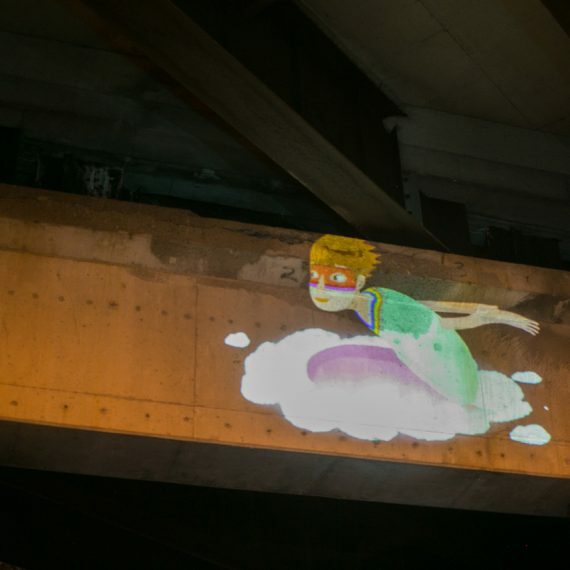 They’re used so that small narratives with characters and poetry can travel open spaces, lighting the walls on a large scale. 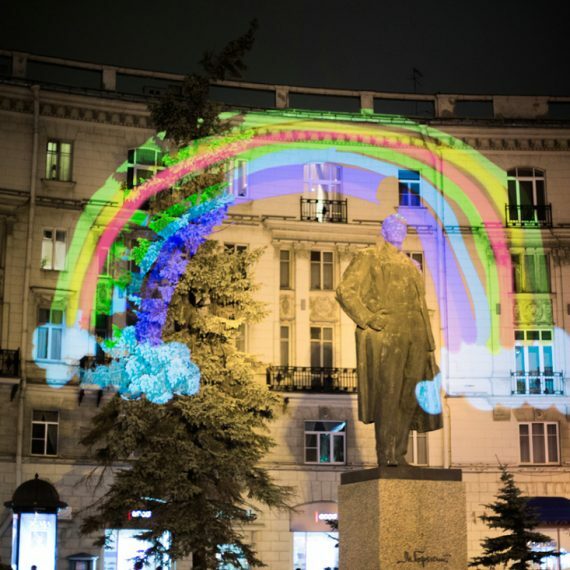 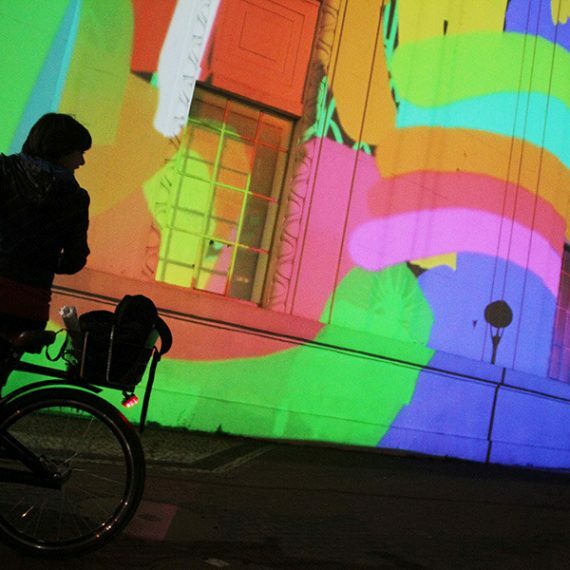 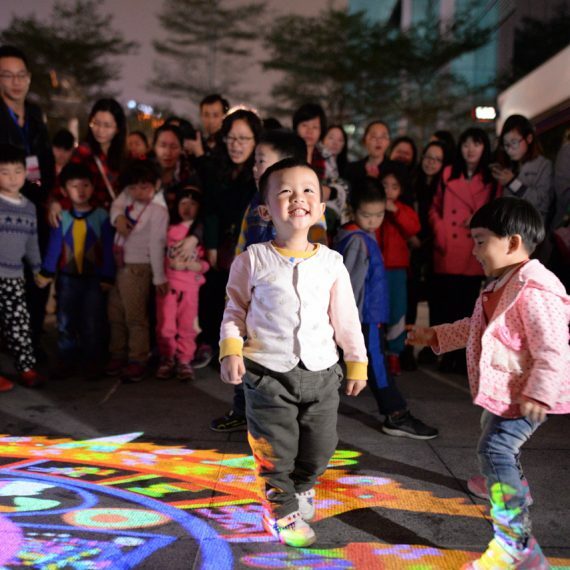 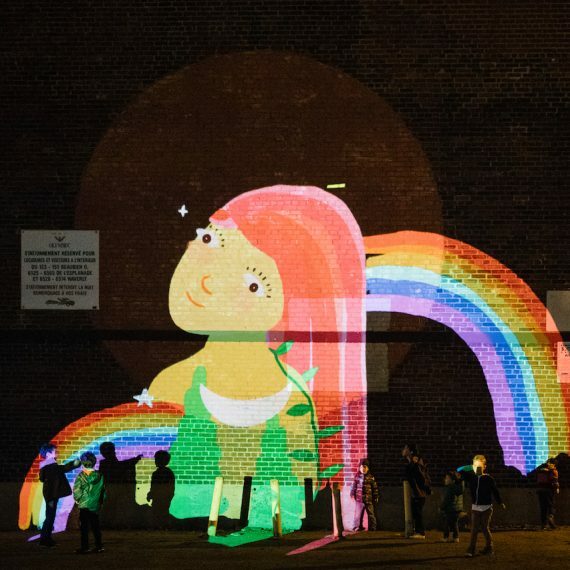 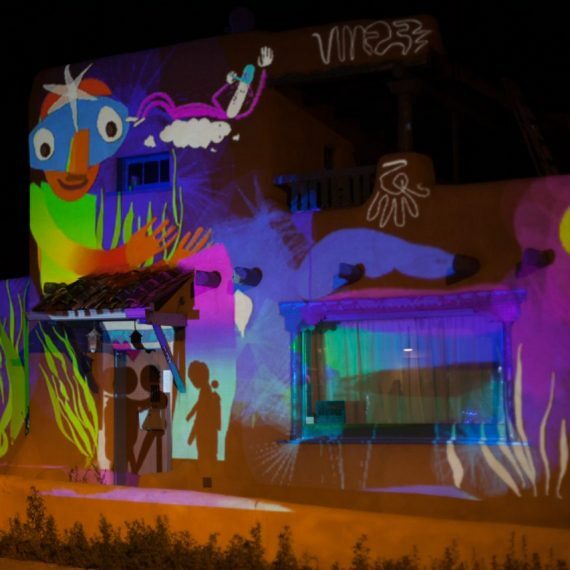 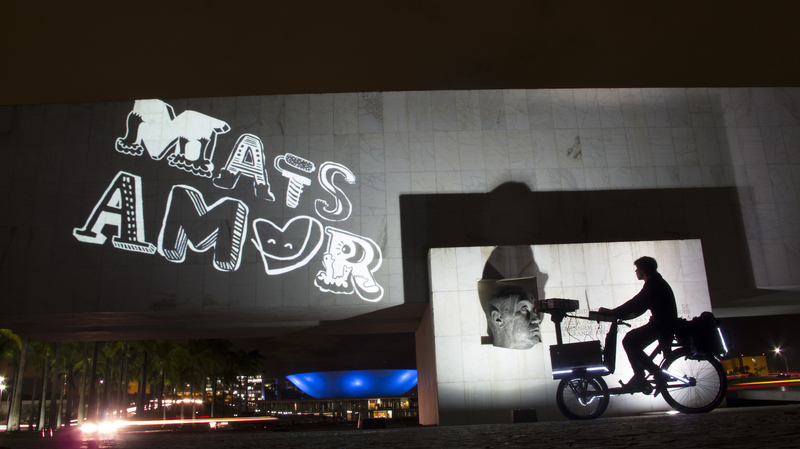 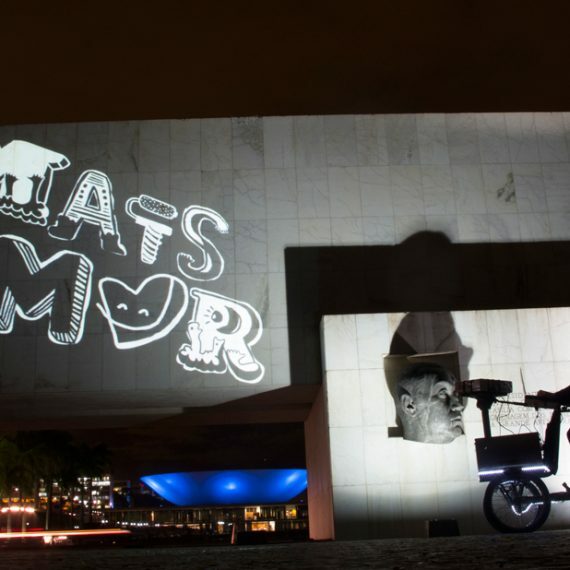 The projections illuminate walls, trees, lakes, sidewalks and propose a playful interactivity with the public. 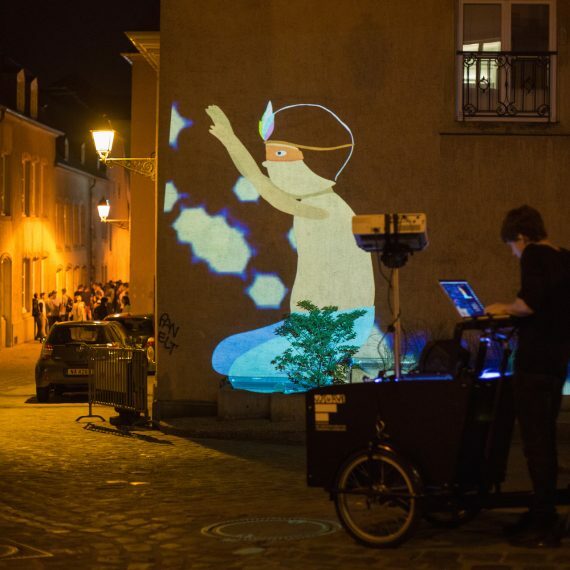 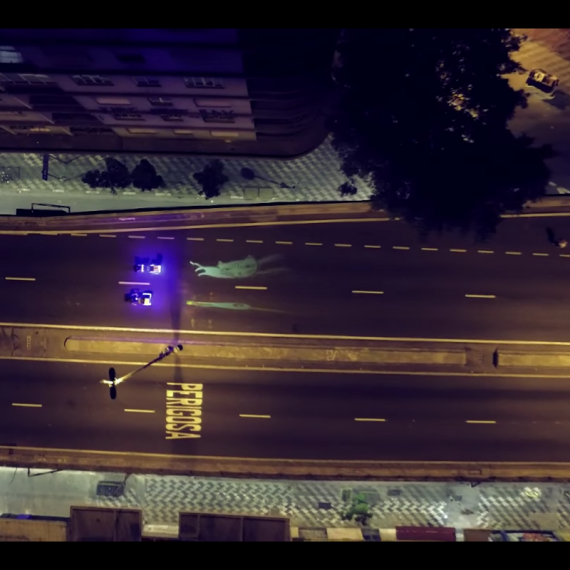 With the video manipulated in real time, Suaveciclos bring art to all audiences and create unique moments between the city and the viewer.. 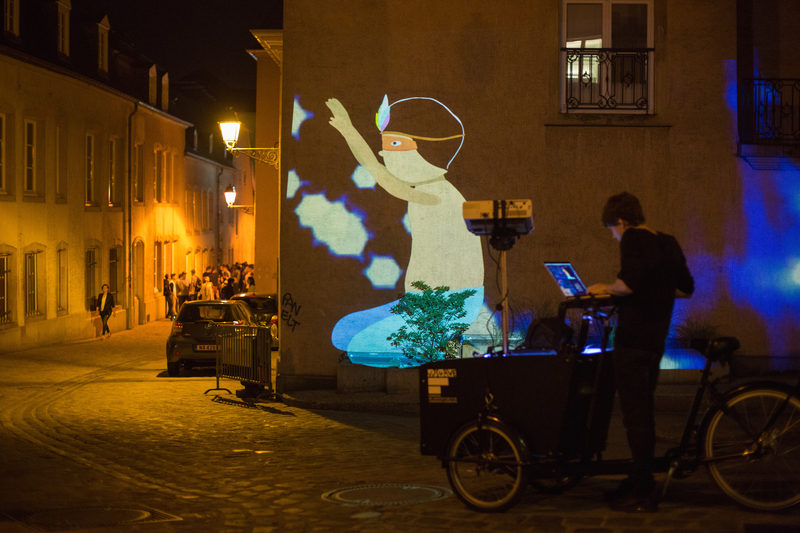 In their playful universe, vjsuave deals with current themes with ambience sound accompanying the performance. 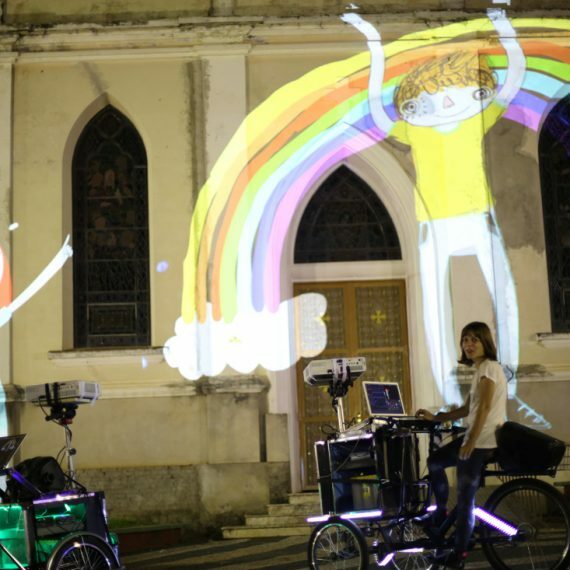 The project participated in film, music and light festivals all over the world.